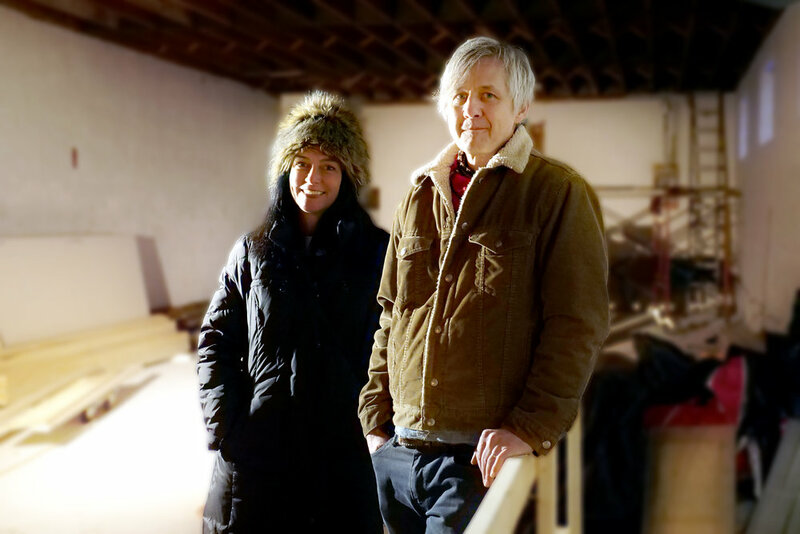 Chris Larson and his wife Kriss Zulkosky saw their artist friends being priced of out their studio spaces by developers, a common occurrence in the local art scene. “We thought we’d do the opposite: buy a building, renovate it and offer free studio space specifically for women artists in the the Twin Cities,” Larson said. They did just that. They bought out the old linoleum shop next to Cook St. Paul on Payne Avenue with a goal of providing studio space for female identifying artists. “Rent on a studio space is a substantial part of your income,” Larson said. “If you can give people a leg up on just that and bring them into the community, you have such an advantage. They recruited a group of diverse artists to serve on their board and help guide their vision, turning the operation into a 501(c)3 nonprofit. One of those board members, Tina Tavera, an established Latinx art curator, was eager to jump in and help. Zulkosky is a nurse at Regions Hospital and has a background of volunteering and organizing with the Women’s Foundation of Minnesota. Larson is an artist and an Associate Professor of Art at the University of Minnesota. Larson is a Yale graduate and has exhibited all around the world. But he always returns to his roots on the East Side. The linoleum business that was operating out of the space had been suffering after 75 years in business (Larson even remembers his grandfather shopping there). The organization has held a few fundraisers and received a STAR grant from the City of St. Paul. They plan to continue fundraising as they enter the final stages of construction, and are talking with other businesses along the avenue about holding joint events. Second Shift is currently accepting applications for the first round of one-year long artist residencies. If you are interested, you can find more information on their website and via their press release here. Note from omg: It has been a pleasure providing these great stories for you all. I continue to be impressed with all of the great work happening on the East Side!